This past weekend I traveled to Washington D.C. to celebrate my sister’s birthday. I stayed at my mother’s house. It was comforting to walk up the stairs to her familiar front door, a door which has welcomed me for nearly three decades of visits. A fixture in my life, anchoring my wandering soul. I slept in the basement, which Mom uses as an art studio. The furnishings in there are older ones, including some that I remember from growing up. Again there was a sense of comfort from seeing these things; their material fixity reassuring me of the constancy and immutability of the past. For all the changes over the years, these things remind me that the past experience which made me who I am today is definite. It cannot be erased. As William Blake put it: nothing lasts, but nothing is lost. Of course the fixity of these material things is an illusion; they will all crumble away into nothingness in the due course of time. What is important to us in life is not stuff but our loved ones, and the relationships we have with them. That is why in all my wanderings, I keep circling back to the family in which I was born and raised. 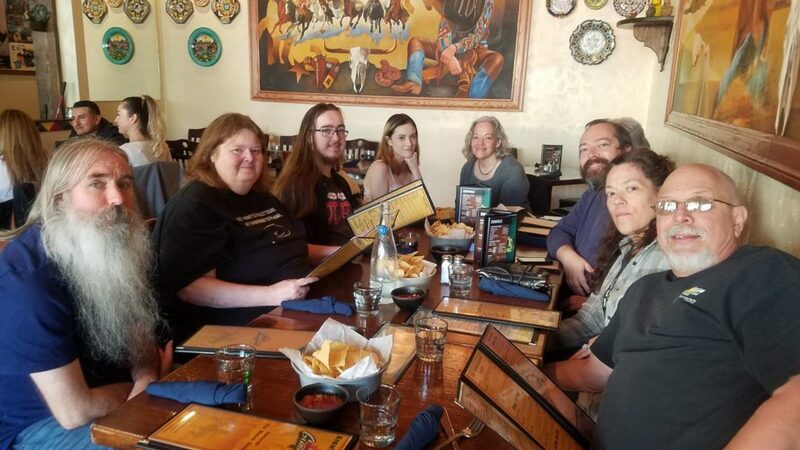 We gathered for the celebration in a cheery restaurant – siblings and friends and relations all together again for the first time in a few years. There have been many changes in that short time – moves from one state to another, jobs lost and gained, marriages, divorces – but still we remain a family. So happy birthday again to my sister, and may we never forget our true and perfect home, in our hearts.